An increasing demand for independent advice and steadfast control of tenancy issues has led Keen Property to approach property management services differently to most. Tenants appreciate being able to contact us at a moments notice. Knowing that there is always someone on hand to help, improves their sense of security and encourages greater loyalty and increased possibility of extensions of the tenancy agreement. This helps to reduce the number of vacancy periods, which in turn increases the return generated by the property. We believe that our landlords and tenants should be able to instantly access their records and our fully automated systems allow this by way of the internet. However, in spite of the integrated information which our programmes offer, we don’t just apply data we assess each property individually and treat it as if it were our own. We have been in your position and can anticipate your needs through personal experience. 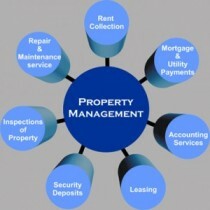 We take enormous care with tenant selection and reference checking and our track record is testament to this. Personalised service sets us apart as we constantly place emphasis on achieving the full potential of our clients’ investments. We enjoy a reputation for excellence in all that we do. We look upon our relationship with you as a long term partnership built on trust and excellent advice.